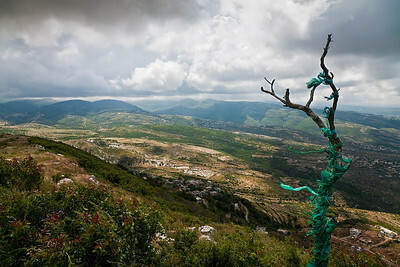 At an Alawite Maqaam, or religious shrine, near Latakia. 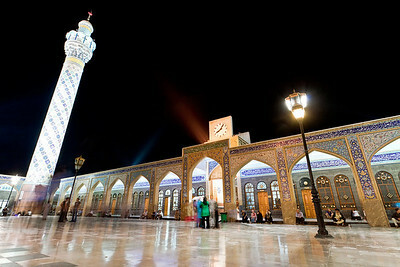 The Sayyidah Ruqayya Mosque and shrine in Damascus which is primarily attended by Shia Muslims. 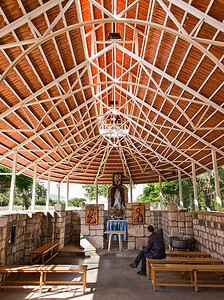 The Deir Mar Musa Christian Monastery in the hills near Nebek. 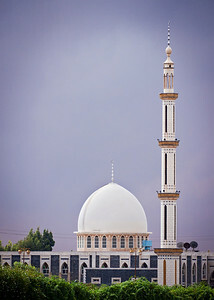 A small church atop a mountain in Mashta Al-Helu. 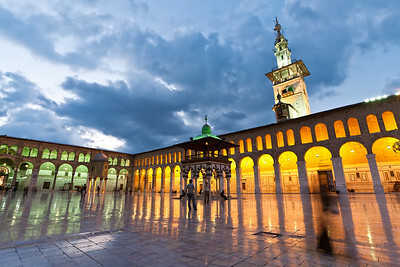 The Umayyad Mosque, located in the heart of the Old City. 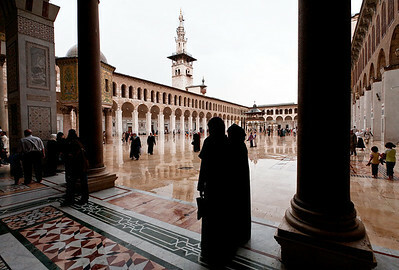 The Umayyad Mosque on a rare rainy summer day. 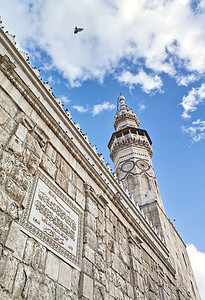 The outer wall of the Umayyad Mosque. 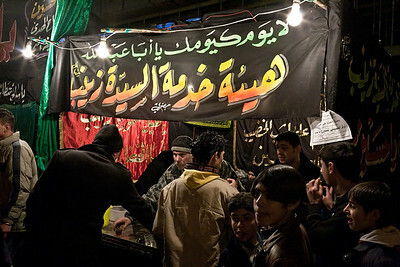 A mosque in Bosra, southern Syria. 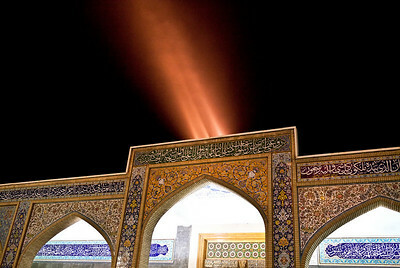 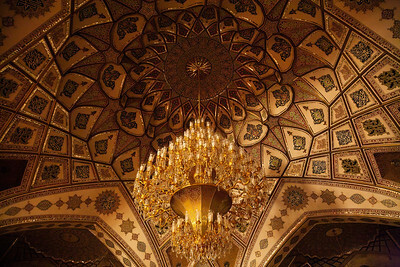 The inner shrine at the Sayyidah Zaynab Mosque which is visited primarily by Shia Muslims. 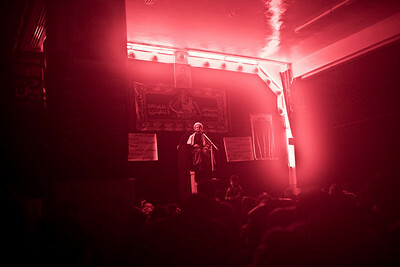 A majlis speech given in Sayyidah Zaynab during Moharram, the month of mourning observed by Shia Muslims. 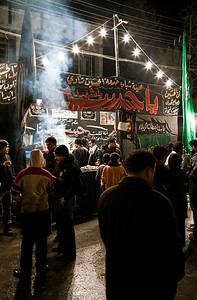 A sabeel, or refreshment stand, set-up for pilgrims in Sayyidah Zaynab during Moharram. 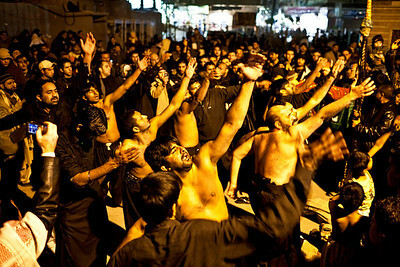 Pakistani Anjuman Shia pilgrims performing Matam (here, striking of the chest) outside the main gate of the Sayyidah Zaynab mosque. 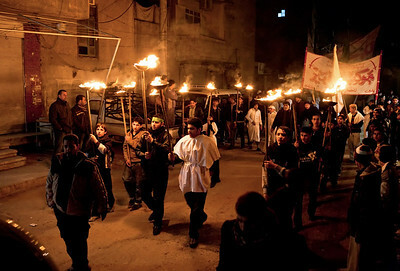 An Iraqi procession carrying Misha'als on the streets outside Sayyidah Zaynab. 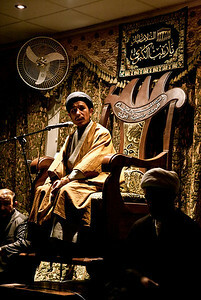 An Afghan Sayyid with black turban sitting on the minbar reading the majlis on the night of the 9th of Moharram.